I really enjoy being a guest on Larry Everett‘s video series Massively Opinionated, a series in which MMO enthusiasts answer some tough questions and argue the case for their answer to trump the other guests’ submissions. On each episode, Larry asks his guests to design their own MMO based on certain prerequisites or criteria. It’s a really fun question in which the answers are only limited by the question parameters and the panelists’ imaginations, so it’s not surprising that it’s my favourite question type on the show. On one particular episode of Massively Opinionated, we were asked to design a sticky MMO that really grips players for a prolonged period of time. For that question, two of the three given answers looked to non-MMO IPs to bring something fresh and compelling to the genre that would optimise player retention rates. Ever since that episode, I’ve been mulling over how unique non-MMO IPs carry the potential to bring new, exciting mechanics to the genre. I’ve sat on this idea for some time while I’ve mulled over which specific mechanics could potentially be derived from some well-known and loved IPs, and in this edition of MMO Mechanics I’m finally ready to put those thoughts down on figurative paper for you lovely readers. I’ve thought through three examples of IPs that could add something unique to the genre, but there’s so much unexplored possibility for the future of MMOs that I’m sure you could think of so many more. Don’t forget to scroll down to the comments to add your own thoughts. I don’t think I’ve ever been sadder over game-related news than I was when I found out that CCP was shelving its MMO that was reimagining of the WoD IP. I am a massive fan of pen-and-paper roleplaying games in general, and this particular IP has been a big factor in that love of the traditional RPG. With books upon books of extensive information, mechanics, and lore, I was really shocked that CCP didn’t give this a better shot before it was filed under bin. With so many factions, sub-factions, locations, and divisions, the WoD IP would be perfectly suited to an immersive, lore-rich open PvP MMO with some fantastic political mechanics. If I were to make the MMO, I’d focus on mechanising those factions to enhance current guild mechanics, creating a system in which players could weave a complicated web of clan ties, familiars, workmates, or coven members, depending on which particular type of spook or hunter they choose to play. These ties and societal ranks would be fluid and could change drastically throughout the course of play, which would create a great incentive for players to hang around and push a character to its limits. 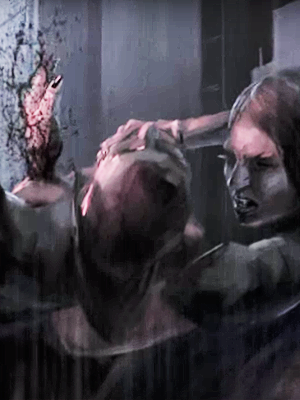 New players who roll human characters could seek the protection of vampire, witch, or werewolf hunters, perhaps skilling in those fields themselves. Others may Awaken on the path of a mage, joining a circle to learn the mysteries of the arcane and climbing the ranks of the elusive Legacies to better know the world. Vampires and werewolves each have their own complex factional, political, and societal structures and are in a constant battle over turf and power, and each pack or sect could rise to the top of the ladder through the correct posturing and maneuvering. Politics would give me a fantastic incentive to engage in brutal open-world PvP, and I fully admit that PvP content usually isn’t my cup of tea. Permadeath would add a real WoD level of danger; the higher you climb politically, the bigger a target you become, so you’d better be sure you inspire loyalty by any means necessary! Imagine how this could change how guilds function: Whole cities would become the battlegrounds of the WoD MMO, and guild-vs.-guild warfare would be commonplace and well facilitated. Leadership would lie on a knife’s edge; mechanics could be employed for usurping superiors to take control. Guilds would form and grow through actual in-game need rather than just convenience: Without protection and a connection to others of your kind, the game world would be a dangerous place. Imagine EVE Online-style factions, battle scale, and geographically sensitive war intensified by the fact that each player character is a coveted resource to be fought over in his or her own right; humans and newer supernatural creatures are often the unwitting pawns of much larger schemes in the WoD universe. I used Harry Potter as my answer not just once but twice in the aforementioned episode of Massively Opinionated… that’s how much I want to see a Potter MMO. I admit that it would be a very hard one to get just right because everyone would want to be attached to the main cast, but setting an MMO in the Potterverse would be both lucrative and compelling if that hurdle were jumped successfully by emphasising the setting more than the characters. I know it can be done: Look at the success of HP themeparks and live action roleplays as good examples of how well the setting sells. One of the most wondrous things about the magical world in which the books are set is the existence of magic wands. Those little boomsticks (not to be confused with broomsticks, of course… ahem) pack a punch in the right hands, and each wand is absolutely unique to its owner. Young wizards and witches covet their parents’ or older siblings’ wands, wishing for the day when they’ll be able to purchase their own at Ollivander’s on their first school shopping trip to Diagon Alley. Hexes, quality of life enhancements, and the great wizarding duels await them. This, then, is where I’d place some unique mechanics to grip the MMO enthusiast. I would love to see the functionality of wands become a sort of turn-based, strategic combat system unlike anything else I’ve experienced in the MMOs I play. 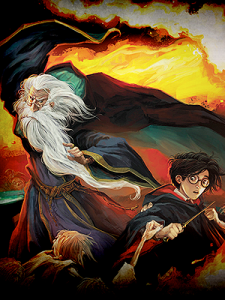 I’m imagining wand attunement and familiarity building over time, with sister wands locking together in Priori Incantatem duels just as we saw with Voldemort and Harry’s wands. Turn-based combat would add some excellent strategic layers, especially with the inclusion of rebuffs to attacks and evasion wards. A beautiful battle could be spelt out methodically and painstakingly, much like a good game of wizards’ chess. Fire meets water, water meets air, air meets earth in a beautifully paced war of minds. Transformers is such a thrilling IP that I’ve adored since early childhood: Who doesn’t love robots with kickass colour schemes that transform at the drop of a hat to whisk their human allies out of harm’s way in a jiffy? I can see absolutely massive potential to take the concept into the MMO genre to create a highly competitive action combat game with all the hallmarks of an epic episode of Top Gear. I’m picturing high-speed pursuits, drag races, crazy burnouts, and in-combat transformations. 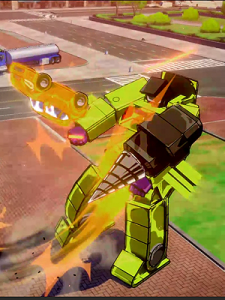 In addition to standard bot versus bot battles, each transformer’s vehicle mode could be used in creative ways in combat. Lightning-fast robotic combat would include evasiveness and withdrawal routines, armour with directional context to protect your robot’s best assets, and a whole toolset of stunts and high-speed driving manoeuvers to use that are dependent on your equipped weapons and vehicle type. Size matters too: Go for a bulky, heavy transformer modelled after Optimus Prime for tanking possibilities and a solid set of inbuilt weaponry, or opt for a lighter, swifter bot that mirrors Starscream for high-speed skirmishes, reconnaissance of enemy fortifications, and increased withdrawal options due to its aerial capabilities. Wheeljack fans may want to build a gadget whiz with great utility support items for longer pursuits, while those who really like Warpath might build a compact yet heavy tank, packing a lot of firepower into one vehicle type for maximum damage. We know that repurposing non-MMO IPs for our genre can stretch the current range of MMO mechanics, and we have some very interesting experiments coming our way on that front. I’m eagerly awaiting Pokémon GO (it’s a little too early to know if this will be a true MMO, but I’m at least putting it in the pseudo-MMO camp for now), and I believe that it’s merging of the real and virtual worlds is only the tip of the iceberg in terms of the unique mechanics it’ll offer. Are there IPs I haven’t touched on that you think would make a fabulous MMO? What unique mechanics would they bring to the genre? Who would make that MMO a reality? Let me know what you think in the comments. sray155 They somewhat have this in Mabinogi for fighting the Black Dragon mega world boss. Players are given task such as healing, fighting minions, or doing certain kinds of damage or use certain skills. Your reward depends on how well you did on the task. It doesn’t put you into teams but its scratching the surface. If they were to make support classes more crucial than just damage buffs then I could see teams. Lots of teams working to take down a single monster would look silly unless it was massive and there was air combat. This would work better with a PVE battle in a on going war, or some kind of raid. It would have to be at least an hour or two long which kind of stops a lot people from doing it. Pokemon-Go seems like a nice idea actually, i await eagerly to see how it will fare. The WoD description reminds me of the days of the text-based World of Darkness MUSHes which I played on in the mid 90s. Looking back I put way more hours into those than I did almost anything else until World of Warcraft. Unfortunately they peaked in the late 90s and haven’t been the same since. It wasn’t unusual to have 50 or even a hundred people on at a time. No graphics, of course, but we didn’t need any! Whatever happens, we’re desperately in need for some refreshing ideas for handling MMOs, which probably means that we need to let go of some, or even a lot, of what we think an MMO is and allow new systems to take their place. I really don’t think it’s much to do with the particular IP as it is the systems used to express that IP. And speaking of IP, I hope we can steer away from the licensing woes that plague so many games by having them develop their own in house. Wakkander sray155 Sorenthaz Well, part of the problem with the EU is that there’s a LOOOOOOOOOOOOOOOOT of it, and 90% of everything is crap. I know the EU encompasses a lot of stuff that’s really well-written and treats Jedi Force powers in a reasonable manner. (I was a big fan of KOTOR1 and Jedi Outcast, myself.) But I also know it has people blowing up stars and every other damned thing in the universe turning out to be force-resistant because nothing could seriously threaten any of the ridiculously overpowered EU Jedi any more. ausj3w3l I’ve always seen it in my mind the Aiel as more desert samurai than ninja. Wakkander YEs -wheel of time. Being strong in certain elements and such as well as those limitations. The general sense of warring groups is cool too, plus you always seem to have a big bad to fight. Wakkander You had me with The Wheel of Time. our quest for a living, persistent, dark fantasy role-playing world. each and every player has an opportunity to enjoy a starring role. bring back a truly open-world sandbox role-playing experience. Revival’s content is unprecedented in the field of online gaming. pawns in a greater game. investment in the world is recognized and rewarded with real effects. quarterback on a football team, but is instead one of dramatis personae. individual play-style, not the rote completion of a template. defined by the scope of their adventures, and known by their deeds. player investment and participation in the world. need to get into the world right now. tobascodagama Wakkander sray155 Sorenthaz I suppose I have a different perspective on it. I thought that a lot of the EU did a good job making interesting stories, the Old Republic comics, books, and games, as well as the Legacy series of comics. Those had some different uses, particularly in the old republic period, of the force but it never any worse than stuff they did in the prequel trilogy or clone wars to my mind. Of course the Legacy period was fantastic if for nothing else than the emperor. The sith more or less pulled a coup to take the empire from him, and he lead his own insurrection to retake it. He had his own group of force using knights who were more ‘gray’. The emperor routinely foiled the sith because he didn’t fight like jedi, not falling for their tricks or traps. He was perfectly happy to sacrifice a planet to eliminate a sith fleet, to which the sith were all “But… you have to save the people!” and the jedi were like “but… you have to save the people!” and he was all “nope, destroying your fleet now!” It was a fun series while it lasted.